The prospect is now officially a serious contender. Marcus Browne’s win this past Saturday night over Badou Jack netted the Staten Island fighter both the interim WBA and WBC silver light heavyweight titles, and now the WBC has named him mandatory challenger for light heavyweight champion Oleksandr Gvozdyk. Browne (23-0, 16 KO) pretty conclusively answered the questions about him going into the fight with Jack, a veteran and still a contender coming in, a former two-division titleholder who had been under the bright lights a few times and was far more proven than Browne. 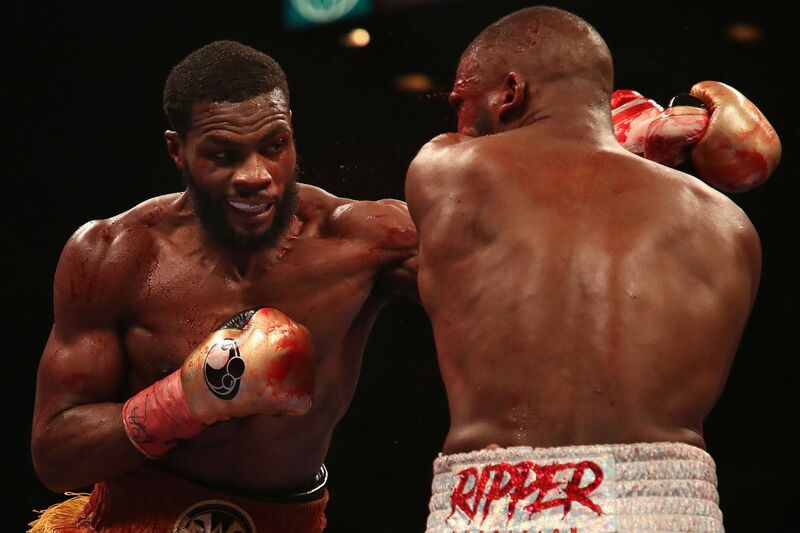 But Browne, 28, dominated the fight in the first half, and when a nasty cut opened on Jack in the seventh round due to a clash of heads, there was really no chance for Jack to rally, as blood covered his face and obstructed his vision throughout the remainder of the bout. Browne also called out Gvozdyk after the fight, and now it seems he’ll get the fight he wants — if the parties can all come together. Gvozdyk (16-0, 13 KO) won the WBC title on Dec. 1 in Quebec City, unseating long-running champion Adonis Stevenson via 11th round knockout. Like Browne’s win over Jack, it was the breakout that Gvozdyk was looking for, and took him from top prospect and potential contender to top-tier fighter in the 175-pound division. The 31-year-old Gvozdyk is promoted by Top Rank, and the company was willing to let him fight off ESPN for the bout with Stevenson. The Browne fight, however, may be a different case. With Gvozdyk the defending champion, Top Rank will probably want that fight for their ESPN deal, and likely will try to get the Premier Boxing Champions team to let Browne fight on their TV turf. Whether that happens or not remains to be seen, but I think this is probably the sort of fight where the sides will work something out, because it’s the best fight for both parties at this point in time. Or maybe it’ll get dragged out and screwed up, it’s boxing, we’ll see. Ask a former NFL player: Will Nick Bosa’s tweets be a locker room issue?